Avid readers and book enthusiasts will be in heaven on a visit to nearby Hay-on-Wye. Famous for being the ‘town of books’, most of the shops are book specialists and there are good antique shops, clothes shops and restaurants as well. The dramatic panoramic beauty of Hay Bluff is a 10 minute drive from the centre and Hay is about a 40 minute drive from The Bell. 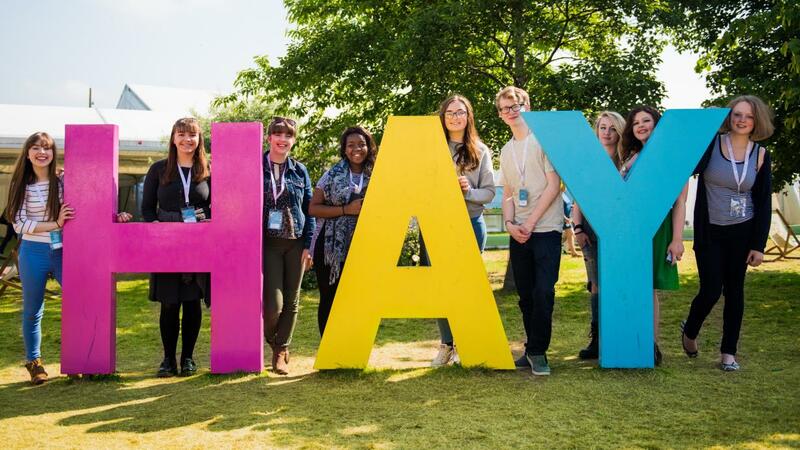 The Hay Literary Festival held in May/June has become legendary with famous authors and speakers including Jimmy Carter, Desmond Tutu, Stephen Fry and more. This article sums up the whole 10 days perfectly. www.telegraph.co.uk/travel/destinations/europe/united-kingdom/articles/hay-festival-how-to-get-tickets-advice-guide/. We are very lucky to have some beautiful gardens close to The Bell. Some run very interesting one and two day courses and many of the ‘pupils’ stay at The Bell and drive there. Just over twenty minutes away, near Abergavenny, is Elizabeth Murray’s wonderful Llanover Garden School. Elizabeth is incredibly knowledgeable and gifted in all things horticultural and has one of the most beautiful gardens in Wales, with a wealth of historic trees (established in 1792). She organises a series of talks, demonstrations and workshops throughout the year, mostly in the Coach House at Llanover and up close in the garden and arboretum. Each day kicks off at 10.00am with coffee or tea before the 10.30 start, a sit-down lunch in Llanover House and the day ends with afternoon tea with delicious homemade cakes and another opportunity to talk and walk around the astonishingly beautiful Llanover Gardens. There are courses for children over 11 at a reduced rate. Click here to visit the Llanover garden and school for details. We recommend early booking as classes do get sold out very quickly. “Arne Maynard is one of the most talented garden designers working in Britain today” as described by the designer Tricia Guild. Praise indeed but Arne has been designing gardens for clients, as well as for himself, for more than twenty years. During this time he has learned how to create gardens with a true sense of place and atmosphere and how to be sensitive to site and inspiration. Arne runs courses in which he hopes to share his passion and experience in garden design. He sees them as inspirational days when he passes on his in-depth knowledge on how to create a successful garden of your own. Allt-y-bela is a romantic medieval cruckframed farmhouse with a Renaissance tower. It was lovingly restored by the Spitalfields Trust and has subsequently won several conservation awards. Since moving to Monmouthshire in 2007, Arne has been creating a new garden, introducing some of his signature garden design elements, achieving a garden that has a true sense of belonging in the landscape. The principles he discusses in his courses are nowhere better illustrated than here. All courses run from 9.45am until 5pm each day, unless otherwise stated. Course groups are kept small and all prices include a delicious lunch of home-cooked local produce as well as tea and cakes. Just a 15 minute drive from The Bell, Kentchurch Court is considered to be one of the most important historic houses in England. It is also the ancestral home of the Scudamore family. Nestling under Garway Hill in the Monnow Valley, Kentchurch Court has been in the Lucas-Scudamore family for almost 1,000 years. The current house dates to the 14th century, although the family can trace its roots to 1042 when Ralph Scudamore came over to Herefordshire from Normandy, building a castle in Ewyas Harold for Edward the Confessor. Kentchurch Court forms part of a wider estate covering some 5,000 acres. It is first and foremost a family home, run by Jan Lucas-Scudamore and her family, who are the current custodians from a long line of Scudamores that have lived in this famous house. Whilst still a private estate, the gardens and house are now open to the public on specific days during the year. The Laskett Gardens, set in the idyllic countryside of Herefordshire on the Welsh borders, are the creation of Sir Roy Strong CH and his late wife Julia Trevelyan Oman. Uniquely biographical, the gardens depict the lives of Roy and Julia and their deep love for each other. They were begun in 1974 and continue to evolve. The ex-director of the National Portrait Gallery and Victoria & Albert Museum, Sir Roy now pursues a freelance career as writer, consultant and broadcaster and continues an active role in overseeing the gardens. Just a few minutes from The Bell in the village of Garway is the specialist Old Field Forge, dedicated to teaching traditional blacksmithing techniques to create unique ironmongery. The Academy offers 3 or 5 five hour packages, tailored to individual requirements. Right in the middle of the beautiful Brecon Beacons National Park next to Llanthony Priory in Wales, this company offers a choice of riding experiences from simple trekking for novices, to hacking for the confident rider. Whatever the standard – even if someone has never been on a horse before – they can get you started. Horses and ponies are rounded up each day and brought in specially to ride and are ready-saddled and tacked on arrival. Don’t worry if you haven’t brought a hat; within reason, everything can be provided. Monnow Events is in Monmouthshire, close to The Bell, and specialises in a number of outdoor activities including clay pigeon shooting, paint balling parties, quad bikes etc. It caters for groups both large and small. There are a few companies that rent out canoes/kayaks on the River Wye. It is always a good idea to book in advance.